“Laser-cut paper doll dioramas of unicorns frolicking in shimmering fields of goldenrod?” I said. 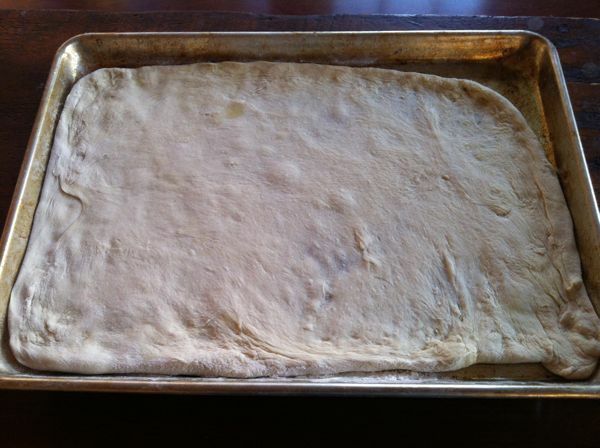 Step One: Spread dough (we used pre-made from T. Joe’s, and left it out on the counter for an hour, to make it easier to work with; you can also, obviously, use homemade) on cookie sheet rubbed with olive oil; get it as far into the corners as possible. Step Two: Sauce it up, almost to the edges. If you have homemade pizza sauce, awesome. But honestly, a good storebought, like Don Pepino or Rao’s Marinara, is fine, too. Step Three: Sprinkle some fresh basil and dried oregano on this bad boy. 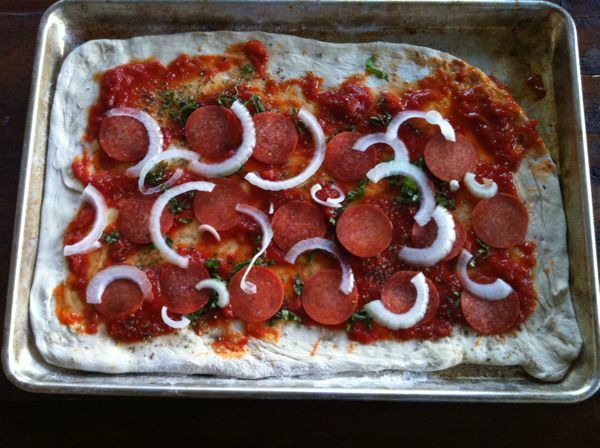 Step Four: Add your meat (if you like that sort of thing; we used pepperoni), and onions. At this point, I threatened to add roasted red peppers, but Jenny shot my sh*t down. 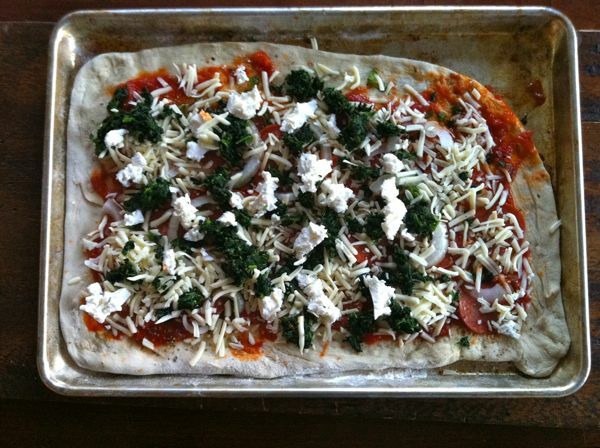 Step Five: Add spinach (thawed, squeezed, no trace of liquid) or kale and shredded mozz. Step Six: Add some fresh ricotta (and some grated parm, if you want) and red pepper flakes. Step Seven: Very carefully (so as not to tear the dough), roll the dough up like a giant joint. Brush the top with olive oil and sprinkle with sea salt. Step Eight: Put into 350°F oven for 45 minutes to an hour, or until golden brown. Brush again with oil in the last five min. Slice into 1 1/2 inch thick pieces and serve. Looks great. I have made mini versions, and because I am a glutton for punishment, I customize them for each of the kids. Stromboli is a fantastic idea! My mom is the queen of these. For some reason mine never ever come out as good as hers, but I’m going to give it another shot – I think we’ve got all the necessary ingredients waiting at home! Aww yeah. This is officially now the *first* thing I am going to bake in our new oven when it finally gets here. Thank you, Andy, for making me snort water all over my keyboard with the joint instruction! My favorite part of this post is that you correctly wrote “could not have cared less” instead of writing “could have cared less”, which would have left me yelling at the computer screen, “If they COULD have cared less, then why didn’t they? !” Which is what I do every other time someone misuses this saying. Ka-Pow! Can’t wait to try this one out. I’m learning to cook from your site. Chili was a hit now I’m moving down the road to Stomboli. Looking forward and thanks! The westchester man/family that “stalked” you outside getting coffee in Tarrytown and again at dinner in Hastings! 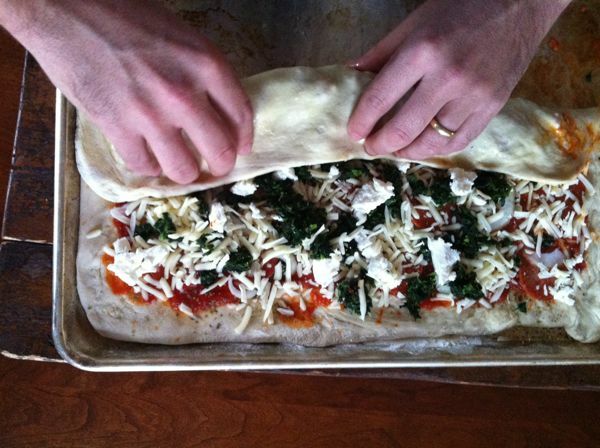 Not only does this fall in the perfect place between calzone and pizza (two of my boys’ top food loves) but the fact that you referred to the rolling of this “like a giant joint” has made this recipe a frontrunner for the weekend. Thanks heaps! My mom is famous for these. She goes all the way Italian style with provolone, sweet peppers, ham, salami, and pepperoni. Seriously, what’s not to love. Thanks for your rendition! Ok, husband is gluten free but I am making the Stromboli!!!! Sounds/looks delicious. And like the others, I snort-laughed when I read, “…like a giant joint.” Hilarious. That looks great & so easy. And you can make so many varieties. I can only assume that is pizza dough, right? love that you said joint. and yes we will make this for superbowl. amazing as always. “shot my sh*t down” and “like a giant joint”. 2 more reasons why this i my favorite food blog of all time. this will be dinner tomorrow. Oh yes! DP Dough in Amherst? That brought me back and I am definitely making Stromboli this weekend. OH!! so THAT’s what Stromboli is! Since I was a kid I thought it was some esoteric Italian impossibility with meat balls and such a complex sauce no one but authentic Sicilian grandmothers would dare brave it’s assembly. This, however, is perfect bachelor food! Thank You! This looks like a homerun for our house. And I can hide…ahem… ADD veggies? Bonus points. Als0 – roll it like a giant joint? you win. Did you really just say “like a joint?” Ha! This post is awesome and wonderful in so many ways. Thank you! I have to echo everyone else the “shot my sh*t down” & “like a joint” comments had me cracking up. Sounded very much like the college guy you describe in the beginning of your post, I can even see the beer sitting next to you as you wrote it. I have to say though that I hate that the security question comes after the submit button because I miss it every time. Definitely adding that to my list! Anything pizza-esque is an absolute guaranteed winner here. Just wanted to let you know I made the no-knead bread (Jim Lahey) and I cannot believe how good it was. Incredible! It got me all worked up and I borrowed a copy of ‘Artisan Bread in 5 Minutes a Day.’ I may give up my day job and make bread for a living – that’s how good it is!!!!! Thanks for the post on it! I can’t wait to do this!!!! My kids and husband will love this!!!! You are nuts! I love it! Yeah, I want to make it just so I can say it. Can’t wait to make this for the playoff game on Sunday. And your directions are the BEST! I made this tonight (x2), every short cut you included. It was fantastic! Rave reviews! But Andy, it was not near a quick meal for me. Between twin 4 year olds running circles around me in the kitchen and 3 teenage girls telling me about their day (I skipped telling them I was was rolling it “like a big giant joint” ) it took a bit to get it all done. Mine only baked for 45 min and were ready. Thanks – this will be a redo at our home and I will plan accordingly for time! This is a staple at our house, we use the fresh premade dough from Whole Foods. It’s about $2.99 and the whole wheat is fabulous. But we do 450 for only 20 minutes and it’s perfectly golden brown and delicious. Makes it the fastest most amazing meal of the week. I’d highly recommend upping the temp and shortening the bake time. I read a million food/lifestyle blogs a week. They are often overly precious. 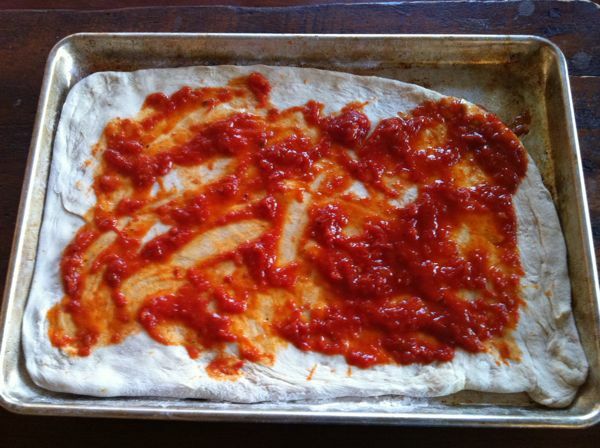 Using the phrase “shot my sh*t down” and likening your Stromboli to a joint makes me want to buy you a beer. Or five. Keep it up. Yum! Made this last night. Delish. Varied some of the fillings. one of your best posts ever! had me laughing out loud and craving the dish at the same time. Loved this sentence: Laser-cut paper doll dioramas of unicorns frolicking in shimmering fields of goldenrod. Kyle keeps quoting this one to me, and is making the Stromboli today, to eat alongside football, perhaps while reminiscing about the football-accompanying giant joints of yesteryear (which I guess I should add, he did not inhale). Can I also say, this is I think the only food blog that we both read and enjoy equally? You guys are the best. lol. perfect. this will definitely make the 7 new recipes list. Thanks! This was absolutely delicious. We had it for supper on Saturday evening, and I had it again today for lunch. My husband put pepperoni on half, and mine was vegetarian. Yum! Great post! So funny and inspiring. We made this at my house this weekend and it was so delicious. Definitely a keeper! Thanks for the idea. Made this last night and it was DELICIOUS! Even my picky two year old loved it. Thank you so much for the recipe. 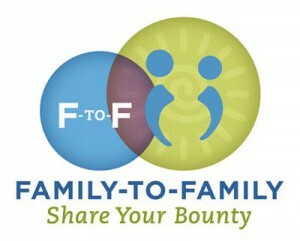 Your family is inspring me to make cooking dinner a priority. I made a variation of this over the weekend with my son, and it was enthusiastically received. I assume that it held up well in his lunch today, and if so, I expect more of these will be in our future. Made this tonight, almost identical to yours except slight variation in dried herbs and forgot the ricotta (which we had purchased on yesterday’s holiday grocery run!). May I just say, it’s the BOMB. The nine year old rated it an 11 on a 10 point scale. We spent the rest of the evening talking about other filling combos. Cannot believe how delish this was, and different (in a good way), even though similar to the pizza/calzone oeuvre. We made this on the weekend and it was delicious! Even my two-year old ate it. It will definitely make an appearance again….quite possibly for the superbowl. Great post. So sharp and natural. This was fabulous. I did 400 degrees for around 25 minutes, maybe a smidgen more, and it came out perfectly. Definitely a keeper! We made this last night with Smitten Kitchen’s Rushed Pizza Dough. We used whole wheat, which (I think) made it easier to roll. We will definitely make again….thanks! 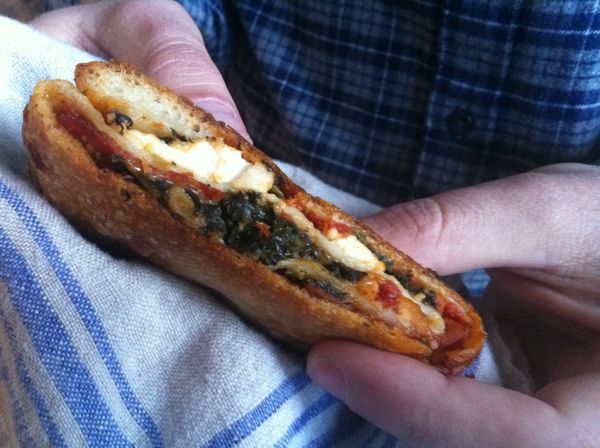 I made this last night and it was perfect: easy, delicious, and used up ingredients I had on hand (fresh spinach, salami, and Artisan Bread in 5 dough in the fridge; pizza sauce and shredded mozzarella in the freezer). Winning combo! Love this post. Inspired! I buy TJs dough all the time, I never thought to kich it up a notch simply by rolling up the dough! Thanks. 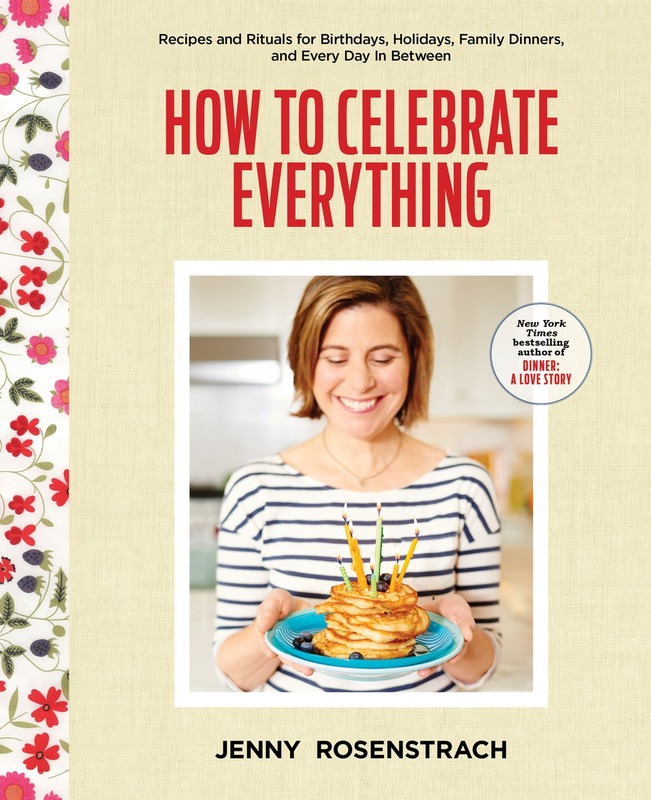 Looking forward to making this for book club tomorrow night! Love the joint reference. Hilarious!! I make a meat and cheese stromboli that was my mom’s recipe. You add the sauce on the side to dip it in. It is made up with salami, hot capicola ham, sweet sausage, mozzarella, and provolone! I have to say I have been wanting to try a Stromboli with veggies so I can’t wait to make this! need the pizza dough recipe, when clicked it goes to pizza sauce. thank you. looks good! Loved this recipe! Will be a regular at our weekly family movie night. I am a newsletter subscriber. Do I win the Lodge cast iron skillet? We had the Stromboli last night. Everyone enjoyed it. I’m glad to read that others tried a high heat for shorter time. I was wondering if that works. Any reason you do the lower and longer version? I’m looking forward to trying different variations, like the sausage suggestion. I definitely would have liked more ricotta and mozzarella to make ours more oozy! We make pizza all the time, at least once a week, using dough from the pizza place around the corner. Decided to try this variation. Wow. Totally putting the Stromboli into rotation. 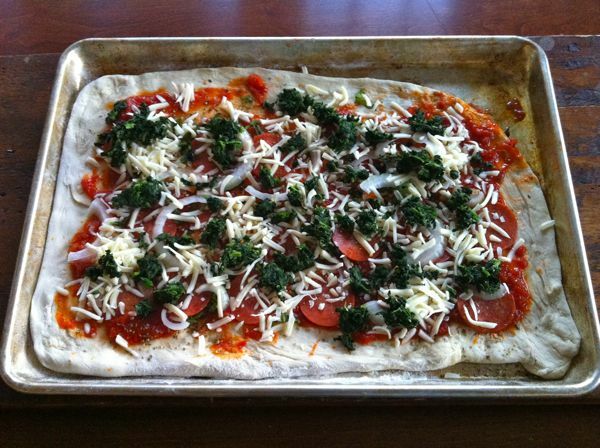 Best part: we can still do the half & half split: half plain tomato & cheese, half (ok, 5/8) kale, mushroom, caramelized onion. Oh baby. I am a newsletter subscriber. Do I win the Lodge cast iron skillet? 1) I am making this tonight. 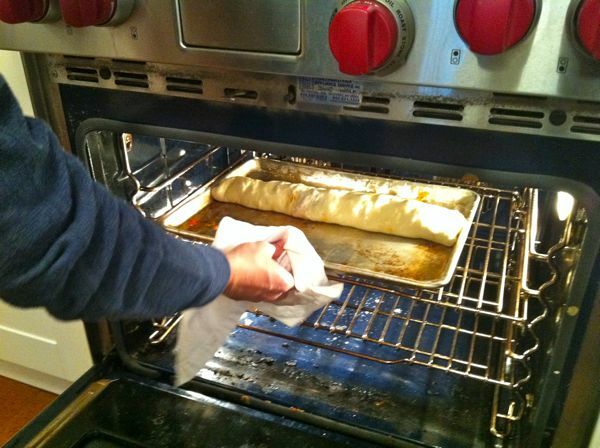 When my darling husband asked me how you make stromboli I told him you “roll the dough up like a giant joint”. He stared blankly at me. Apparently my younger years were a bit more adventurous than his…. 2) You guys rock. I love this little corner of the internet. You never fail to inspire and entertain. 3) I am a newsletter subscriber. Do I win the Lodge cast iron skillet? Second time with this recipe tonight – bacon/broccoli instead of pepperoni/spinach. We can’t decide which is more delicious! LOVED the Stromboli! It sooo made our Superbowl dinner and has earned a place in the “new favorites” book! BTW – I am a newsletter subscriber. Do I win the Lodge cast iron skillet? 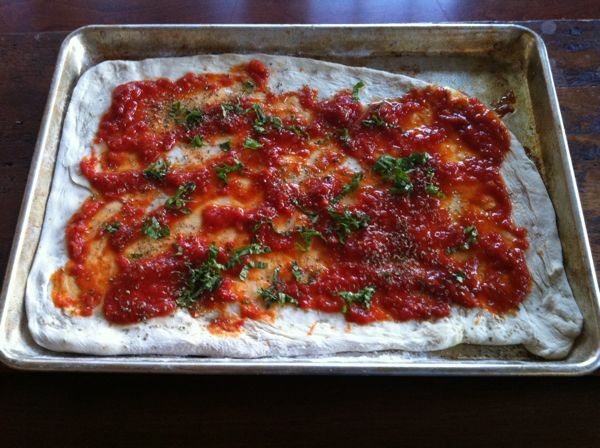 Used “artisan pizza in five minutes a day” dough, made two medium ones, baked 450 for 25 minutes… Amazing…. Nice way to change up our friday night homemade pizza routine. Ok, did anyone else’s house smell INSANELY delicious with this in the oven? It’s like pizza, on steroids over here. Haven’t tried it yet but with a smell like this it can’t be bad. Period. Andy, I totally admire you for being so creative to think of something like this! I realized this as I was rocking my baby to sleep tonight. 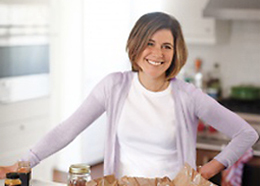 I can get pretty creative with recipes – but there has to be a starting point for me. I’d never think of something like this. It’s a very cool trait to have! What I noticed, and loved, about this post was the fact that your baking sheets look like mine – not dirty but well-used, particularly in the corners. Bridget Lancaster’s TV baking sheets look brand spanking new but I bet her home sheets look just like ours. I have all your books, which I love; but when I’m at the grocery store trying to confirm I have everything for a recipe your blog makes it impossible. Just list the ingredients!